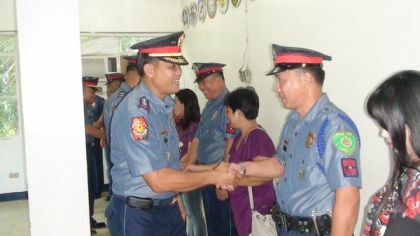 CEBU CITY January 10 (PIA) -- Cebu City Police Director S/Supt. Melvin Ramon Buenafe said there is no intelligence report that indicates any possible terrorist attack in Cebu City, days before the Sinulog Mardi Gras on Sunday. Millions of spectators are expected to watch and join the grand parade, the highlighted event of the Sinulog fiesta celebration in Cebu City. Cebu City policemen are on full red alert status starting today while the permit to carry firearms in Cebu City has been suspended until the 26th to ensure that the Sinulog festivities will remain peaceful. To ensure the safety of the people particularly on Sunday’s grand parade, 10,000 combined members of the police, military, criminology students, fraternities and other civilian volunteers will be dispatched in the parade routes, this is learned. Buenafe however, also urged the public to also cooperate and get involved in making the Sinulog celebration a success by immediately reporting any suspicious people in their area.